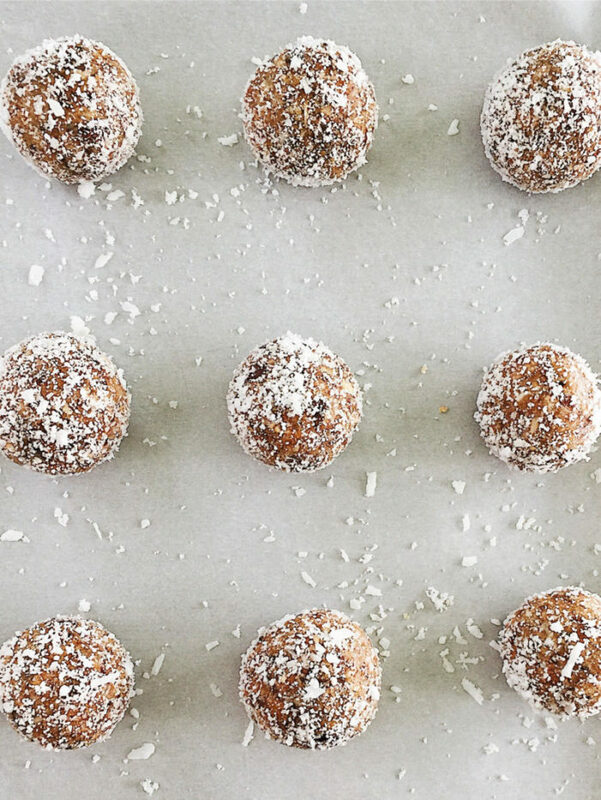 Coconut Citrus Energy Bites are wholesome little pick-me-ups. 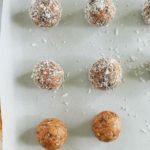 Vegan, gluten-free, and packed with fiber and protein, they also make great pre- or post-workout snacks. I’ve been a little obsessed with energy bites for quite a while. 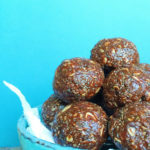 Energy bites are so easy to make. You simply just mix everything together, or let the food processor do the work for you. 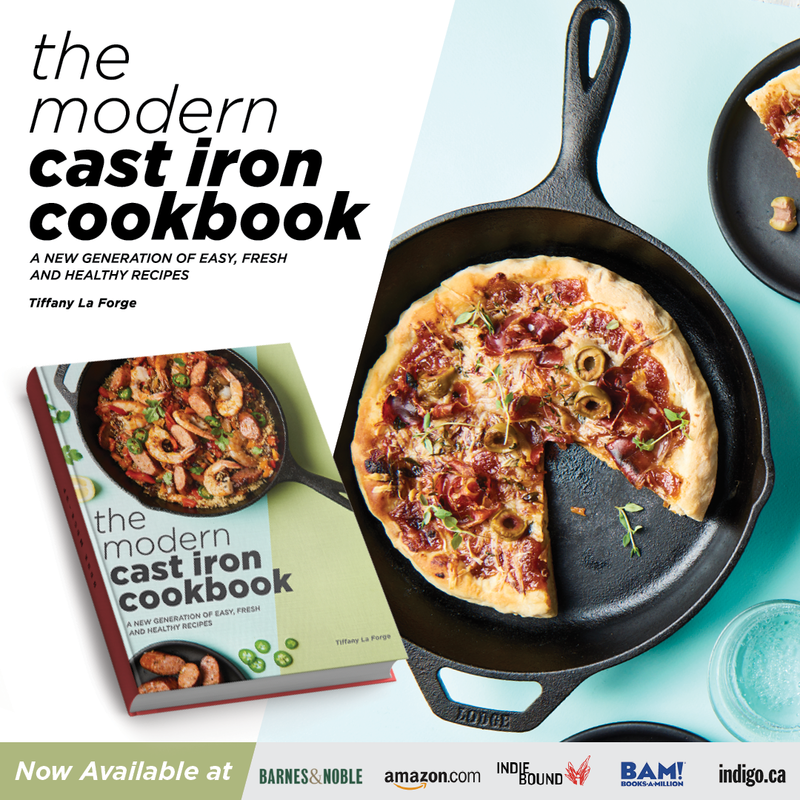 Since this recipe includes dates, we’re gonna need a food processor for it. 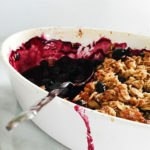 But I have other energy bite recipes that only require a bowl and a wooden spoon. Any date-focused bar or bite always reminds me of Larabars. 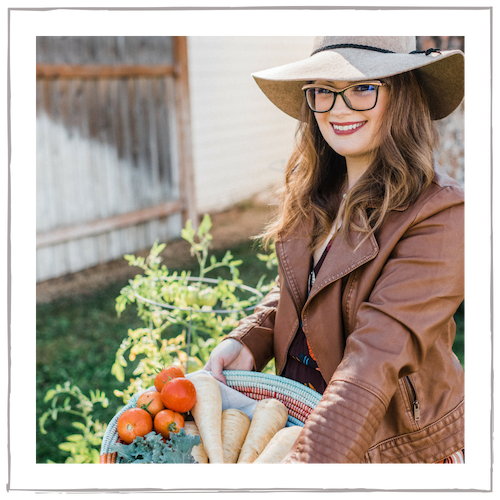 When I did the Whole 30, Larabars were my best friend. They’re a perfect snack. 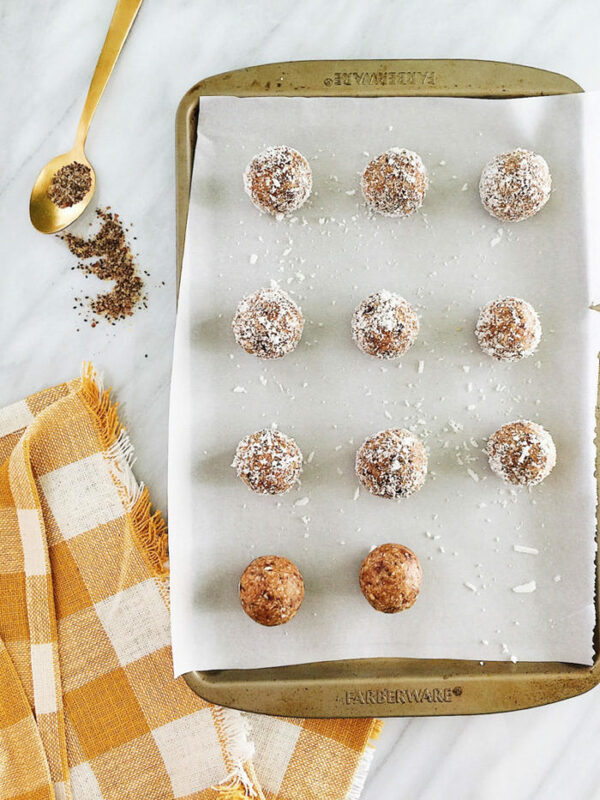 These Coconut Citrus Energy Bites are a sort of Larabar spin-off—but super easy to make yourself, and perfectly pre-portioned for a little pick-me-up. I have to admit that I am getting so freakin’ tired of winter. This winter was brutal, and just when I thought it was over, today it’s snowing again. 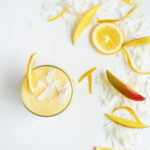 My impatience with winter inspired the flavors in these Coconut Citrus Energy Bites. Perhaps if I use bright, tropical-influenced ingredients I can will winter to go away quicker? 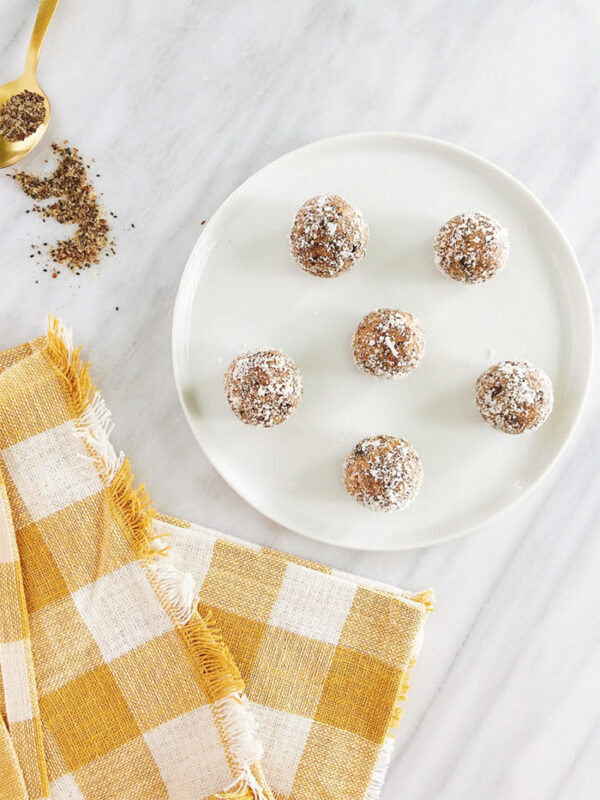 These wholesome little Coconut Citrus Energy Bites are full of fiber, protein, and bright citrus flavor. 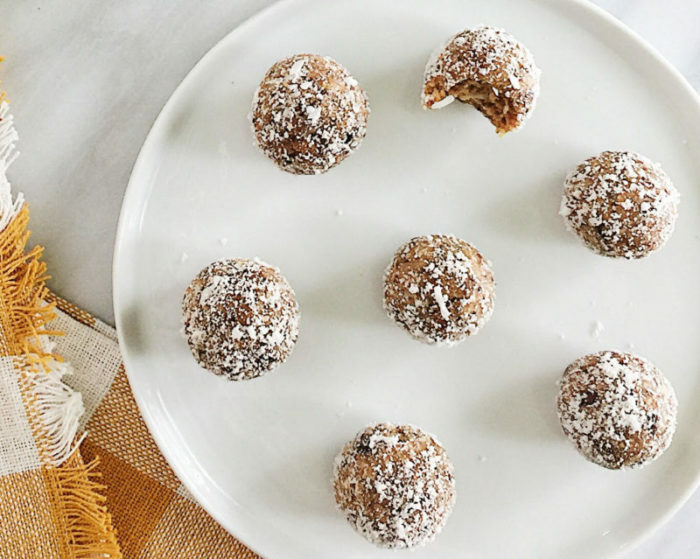 The coconut and dates (“nature’s candy!”) make them naturally sweet. 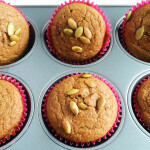 When your sweet tooth strikes, reaching for one of these instead of a sugar-loaded baked good is a healthy choice. In a food processor, process the pitted and chopped Medjool dates until they are in very small pieces and form a ball. 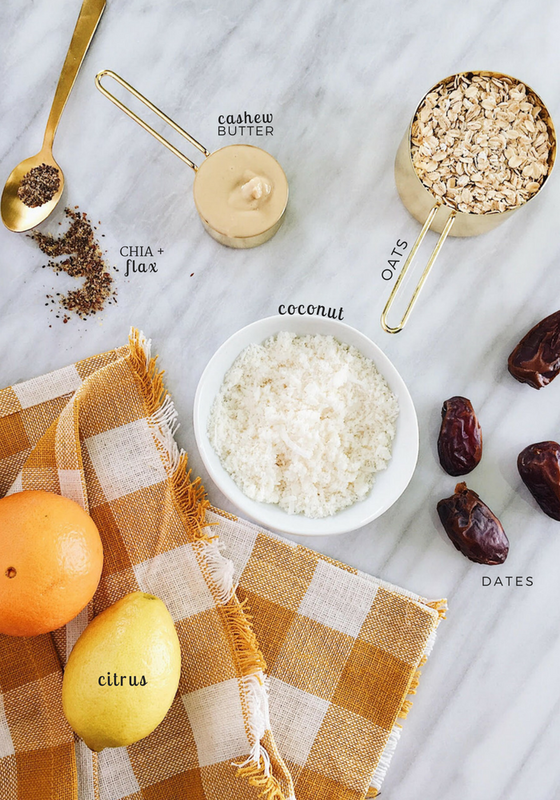 To the dates, add the oats, shredded coconut, Chia seeds, flax, citrus zest, citrus juice, cashew butter, and salt. Process everything until it is thoroughly combined and the ‘dough’ forms a ball and comes together. No need to over-process, you want to still be able to see small pieces of date and oats. Form into small balls, you should get about 12-15 depending on the size you make them. Roll in shredded coconut and store in the refrigerator. Enjoy! Definitely putting these in my lunch box this week! These are the perfect snack, love the citrus flavors and they are so healthy! 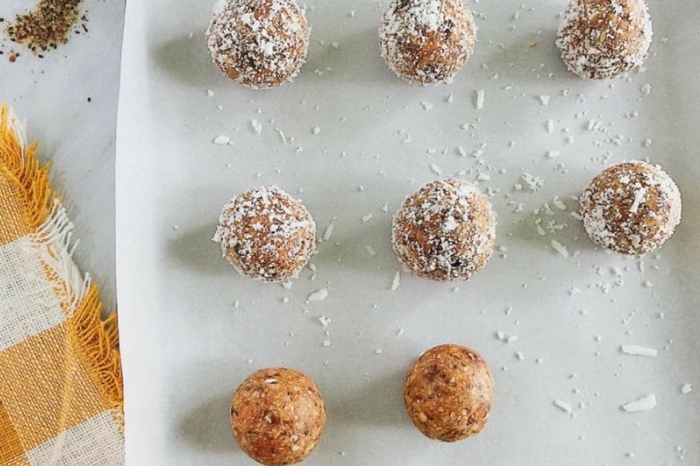 OK. I’m going to find some cashew butter and make these. 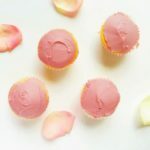 They will be perfect for when I want a pick me up or something sweet! These are sweet and so much better for you than crisps! Loving the flavor combo! Always have to have bites on hand! These little beauties look just so yummy. 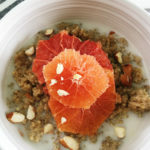 Perfect for a midmorning pick-me-up or an afternoon snack!